"Turning Young Kids Towards Eternity"
The mission of our Nursery here at VWCC, is to love and care for your children, while you are ministered to in our main services. We recognize this is a ministry to the whole family. Our prayer is that you and your child will find peace and comfort in this ministry we are providing for you. Each room is separated by age, from infant to five years old. The infant room is equipped with a changing station and a quiet room for sleeping babies and nursing mothers. Lessons are provided to nurture your child’s spiritual growth, and the love of the Lord displayed by our volunteers, many of whom are parents, ensures the quality and protection each child requires. Snacks are provided each service. Our nursery staff is filled with the finest volunteers, parents! 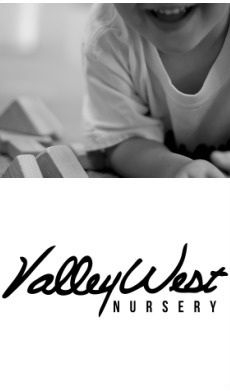 We ask that our parents/caretakers are involved in the teaching and training of their children here at VWCC. Each class has a minimum of 2 volunteers, but many hands lighten the workload. We ask that one parent be involved in just one of their child’s classes once a month, no matter how many children you have in the nursery and children’s ministry. If you desire to work in more classes or take on the responsibility, please talk to the Nursery Director, and she will be happy to get you more involved. The rule of thumb is that we do not want you to miss more than one service a month helping in a class, but we also do not want to discourage any gifts of ministry you might have. If you are new to VWCC, we always like to give you time to see if this is the church you feel God is calling you to. If you have decided to make VWCC your home church, we invite you to participate with your children in their classes. The Bible tells us in Proverbs, that it is our responsibility as parents to raise our children in the way of the Lord, as they grow they will not depart from it. It is our desire to offer this nursery service to you. However, you are not required to use it. If you choose or need to keep your child with you in service, that is encouraged but we ask that you choose a place in the sanctuary that allows your family to respond to the needs of your small children, as well as the spontaneous crying that they sometimes bless us with. See the Nursery receptionist on Sunday mornings to register your child and for information on nursery services, policies, and how you can sign up to help in your child’s class. You are invited to bring your child back to the Nursery at 10:00 a.m. during our service. The infant changing/feeding station is available throughout the entire service. We are also privileged to run a Pager System for parents when they bring their children to our nursery. After your child has been signed in to their class, you will be given a pager that corresponds to your child. If you are paged to the nursery, stop at the receptionist desk and they will assist you with taking care of your child’s needs. If at any time during the service you wish to check on your child, please feel free, but check in with the receptionist for security purposes. Baby dedications are arranged through the office secretary and are available on the second Sunday of most months. Please call 559.674.8922 for more information. •If your child has been sick within the previous 48 hours they may not participate in the nursery. •Parent participation is required. If you have chosen VWCC as your church you will be scheduled to help out in the nursery once a month. A background check is required. •Please limit the number of people that accompany you while dropping off and picking up your child. •Please limit visits to the nursery unless you are paged. •Always use the registration area for questions and concerns before going to the classroom. •Older siblings may not stay with infants or toddlers during service. •Please pick up your child no later than 12:15 p.m.